I remember the last time we picked up a relief pitcher with a crazy beard from San Francisco. If I remember correctly, it didn’t end well. I have never been so ashamed to wear my “00 Wilson” T-shirt. 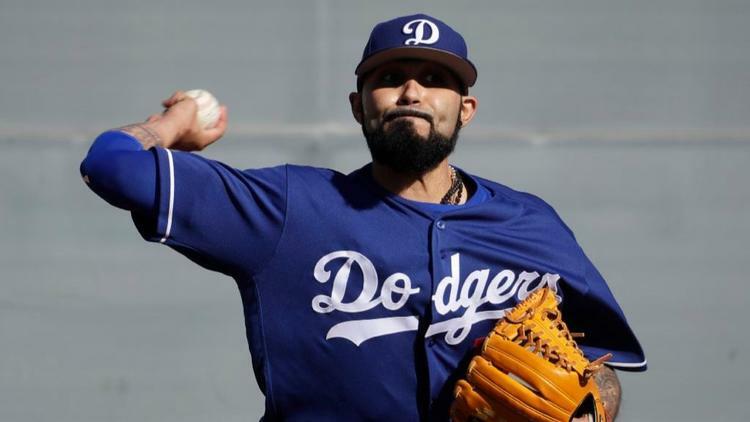 Let’s hope the new guy, Sergio Romo, will be more effective than his predecessor. Now, he claims to be a lifelong Dodgers fan, being from SoCal and all. But I don’t know how you play for the Giants if you’re True Blue. It would be like me going to work at the White House of one who will not be named, just because the job carried a hefty paycheck. I would feel like a whore. I know, I know, baseball players go where the money is, part of the game. But some instinct impels me to not trust him. Although, he recently told the L.A. Times about how, when the Giants came to L.A., his friends and family all showed up at Dodger Stadium wearing the appropriate colors for a night at the Ravine. His Giant bosses were less than thrilled. Good for them, let’s hope he makes them proud!